In the veritable slot machine of narrative TV, Twin Peaks: The Return just scored a massive jackpot with Part 11. 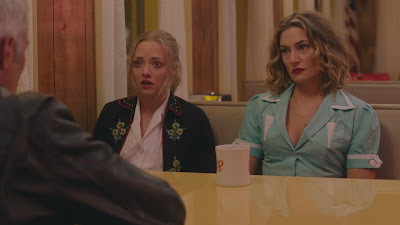 Equal parts charged, funny, and bizarre, we explore more and more of the town of Twin Peaks this installment, which is welcome as it submerges us deeper into the familiar soap opera of broken hearts, revenge, and strange coincidences that beset the town. And the many locations we visit outside of Twin Peaks we slowly discover are not quite so different after all. After having just watched David Lynch: The Art Life (2016), the innocent game of catch being played by the fair-haired brothers did remind me of David Lynch's childhood encounter with a naked battered woman in trouble. A part of me braced myself for a potentially naked victim on the order of Isabella Rosellini's dramatic appearance as a battered victim near the end of Blue Velvet (1986), who would wander into these boys' field of view. My instincts were right, although Miriam thankfully was spared that additional indignity of lacking clothes. Miriam miraculously survived the brutal assault by Richard Horne in the last segment of the show. A part of me wondered if Miriam was still breathing at the end of that scene, and in this week's segment we receive confirmation that Miriam is indeed still alive. The amount of strength and fortitude it must have taken to crawl this far for help is astounding. Miriam is more of a survivor than Richard gave her credit for last episode. In the next scene at the New Fat Trout Trailer Park, instead of seeing Steven Burnett lose his temper at his poor wife Becky (Amanda Seyfried) again, we are instead confronted with the reverse scenario play out. Becky apparently received word from one of her friends that her husband Steven is cheating on her with another woman. 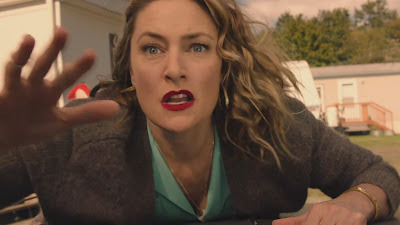 Filled with insensate rage, Becky does everything in her power to take her mother Shelly's (Mädchen Amick) car and a handgun to extract some kind of retribution out of Steven. 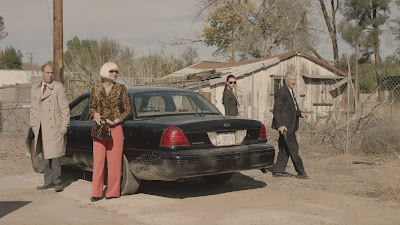 In a moment of touching motherly concern, Shelly tries to get Becky to calm down and not rush off to get into trouble with the handgun and flings herself over the hood of the car. Shelly's bold move did seem to jar Becky out of her fugue state for a brief second, but Shelly's daughter seems dangerously determined to exact her revenge more than care about her mother's safety as she flings Shelly off like a rag doll. 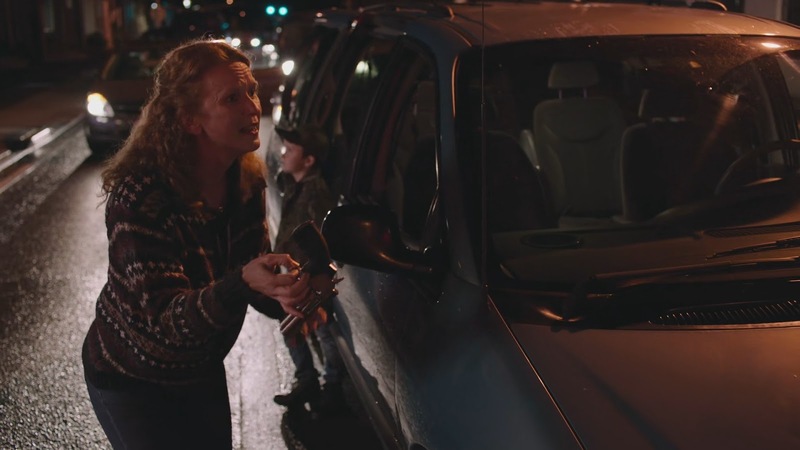 In a series filled with violence, there is still something shocking about Becky's disregard for her own mother's safety in this scene that resonates as particularly brutal. Richard crossed all sort's of lines with last week's assault of his own grandmother (likely grandmother, at least, although not officially confirmed yet). But Richard has been set up as one of the new villains of the story. Becky has been established as a sweet, overly submissive young woman. This reckless and potentially homicidal side of her is a particularly troubling development. Much like Dougie "Mr. Jackpots" Jones (Kyle MacLachlan) has been set up as a bit of an Angel of Mercy in the past several episodes, so too does Carl Rodd (Harry Dean Stanton) seem to be occupying a similar niche in the town of Twin Peaks. Both men even seem to have extrasensory perception of Black and White Lodge phenomena, seeing signs and symbols hover above, which the rest of humanity seem oblivious of existing. Carl comes to Shelly's rescue and seemingly summons a self-driving VW Van out of the ether with the help his handy-dandy magic flute whistle. Or so it seems from the audience's point of view, Carl clearly having a helpful friend on hand who gladly obliges to make himself available to give Carl a ride whenever he needs. The exact nature of this friendship is not explicitly made clear, nor are the terms of their arrangement together, causing us to speculate. I heard another reviewer coin it the "Carl-Mobile" and that seems an accurate name for it for the time being. I am reminded a little of cowboys who frequently summoned their trust steeds with a whistle, like the Lone Ranger or Zorro. Becky Burnett is on a rampage and seeing that her husband Steven is no longer in the apartment with his lover, she unloads a magazine full of bullets into the door of the other woman. This startles the neighbors, who the Twin Peaks Sheriff's station humorously become inundated with phone calls reporting the disturbance. Steven (Caleb Landry Jones) apparently has some experience with Becky's dark side, too, as he judiciously hid his lover downstairs and out of sight of his incensed wife. 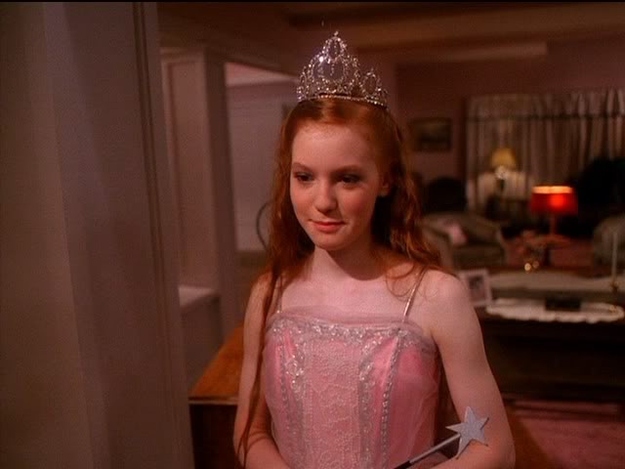 And peculiarly, we discover that the other woman is none other than Gersten Hayward (Alicia Witt), Donna Hayward's (Lara Flynn Boyle / Moira Kelly) younger piano-playing sister we last saw a quarter of a century ago in a good fairy outfit in the Season 2 Premiere of the original Twin Peaks (1990-91), expertly playing piano tunes for a joint Palmer-Hayward family dinner. There is a world implications here to suggest Gersten has had a very strange and unorthodox life since we saw her last, possibly implying a dissolution of sorts of the Hayward family after Doc Hayward's attack on Ben Horne back in the Season 2 Finale. 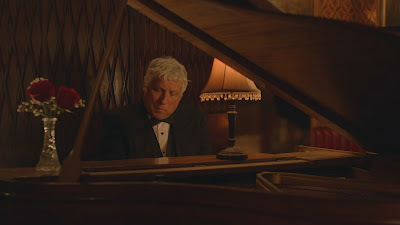 For such a young prodigy at the piano to still be stuck in Twin Peaks and apparently cheating with a much younger and married man, Steven, we can only imagine Gersten's life has had a downward trajectory as of late. And as I wondered earlier, is Gersten the mother of Jane Levy's mystery character? 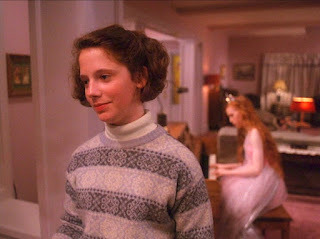 She is the only other red-haired denizen of Twin Peaks so far, so I suspect there is a good chance. Speaking of Gersten's family, I wonder how her poet sister Harriet fared? Or Donna, for that matter? Donna was a main character on the original series, so it strikes me as a little peculiar that we have not heard a single thing about her so far in The Return. 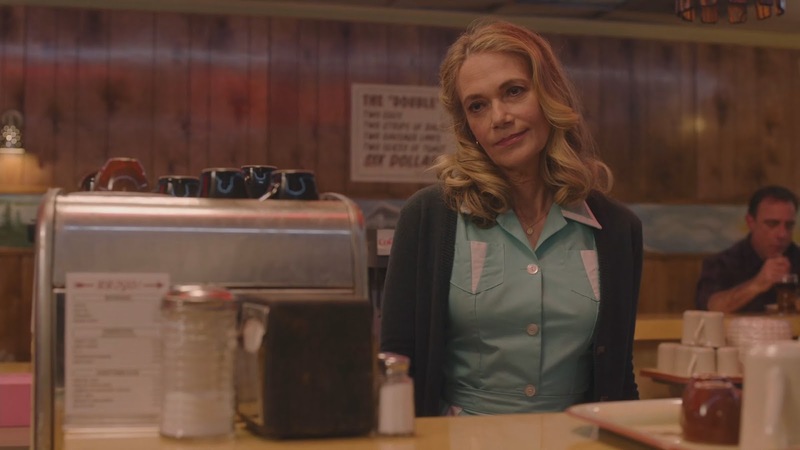 Is it just me, or is it not a little strange to be nearly two thirds into the new Twin Peaks and still have no idea what happened to Donna Hayward or Audrey Horne over the past twenty-five years? 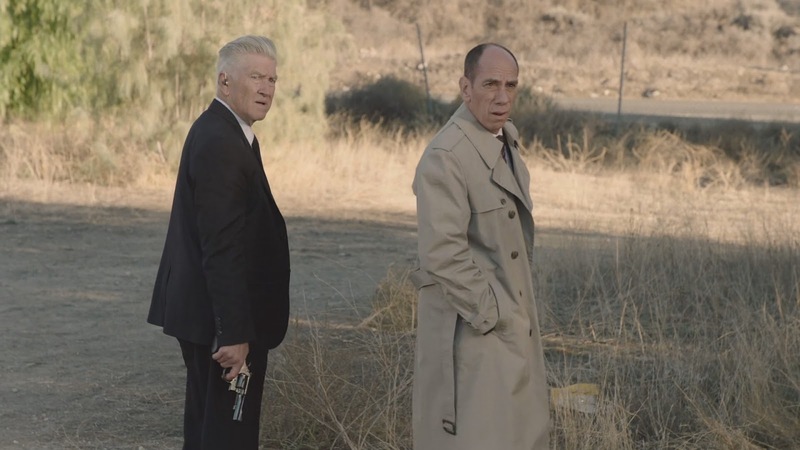 They were both major points of view in the original Laura Palmer murder investigation, arguably more important and essential than any of the other characters we have been reintroduced to in Parts 01-11 of the The Return, with the exception of Agent Cooper and Laura herself. No sooner do we begin drifting into potential multi-generational nostalgia as Becky seemingly repeats the mistakes of her mother's past relationships that we then get yanked right back into the modern story in Buckhorn, South Dakota as Bill Hastings (Matthew Lillard) leads a ragtag group of unlikely travel companions into the heart of darkness, the place where he and Ruth Davenport (Mary Stofle--David Lynch's wife!) searched successfully for The Zone and eventually where they had made contact with the Major. I think even the most hardened viewers have to admit there is something comedically genius about this strange ensemble of characters stuck together, locked into the same bizarre investigation together. Gordon Cole, Albert Rosenfield, Diane Evans, and Tammy Preston feel like the new Scooby Gang we never knew we needed all along. We learn a lot about these characters from how they approach the portal leading into The Zone and what they individually perceive or fail to perceive while there. Gordon Cole would seem to posses the most innate psychic ability of the group based on his vision of Laura Palmer at this hotel room door last episode. Gordon seems to be able to perceive everything at The Zone. He sees the vortex portal leading into the sky and he sees the charred lumberjacks prominently featured in Part 08. Although the sky portal was trippy and fascinating, I will admit that for a second I felt we had entered a crossover event with Donnie Darko (2001) and that any moment a jet engine might fall on top of Jake Gyllenhaal again. 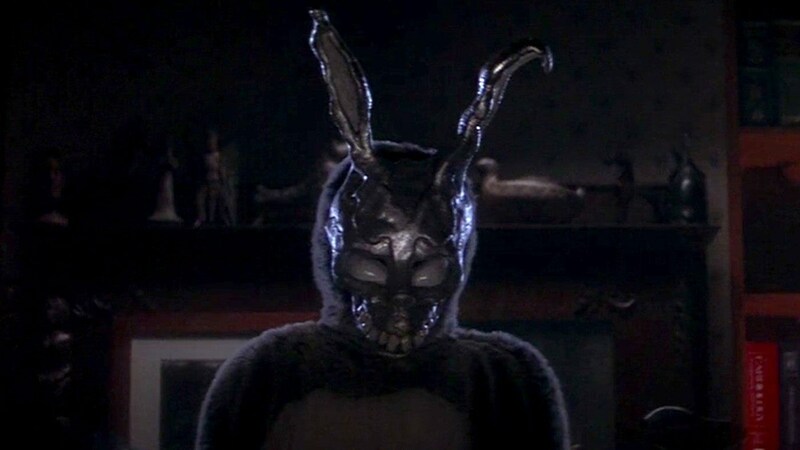 Like the Lynchverse includes Donnie Darko now, too! Although Major Briggs and Gordon Cole could really use a copy of The Philosophy of Time Travel by Roberta Sparrow to help sort out how The Zone works. After all, there is some evidence to support the possible creation of a Tangent Universe, or multiple potential Tangent dimensions. 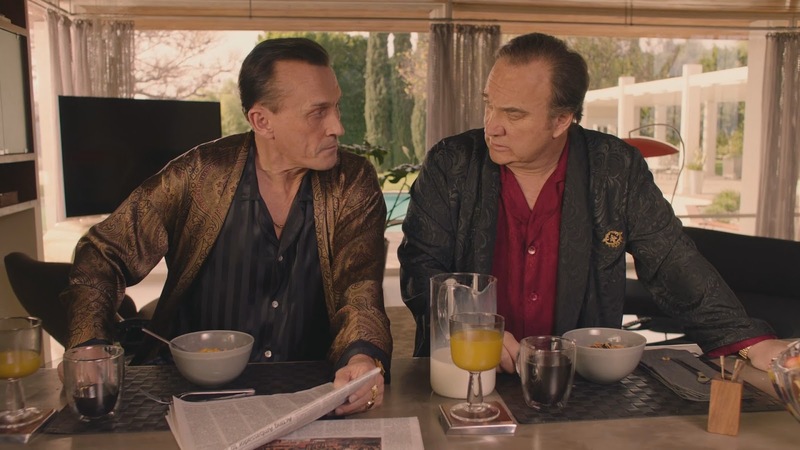 And in more ways than one, Donnie and Dougie share a difficulty to communicate healthily with others as they sleepwalk through portions of their lives. 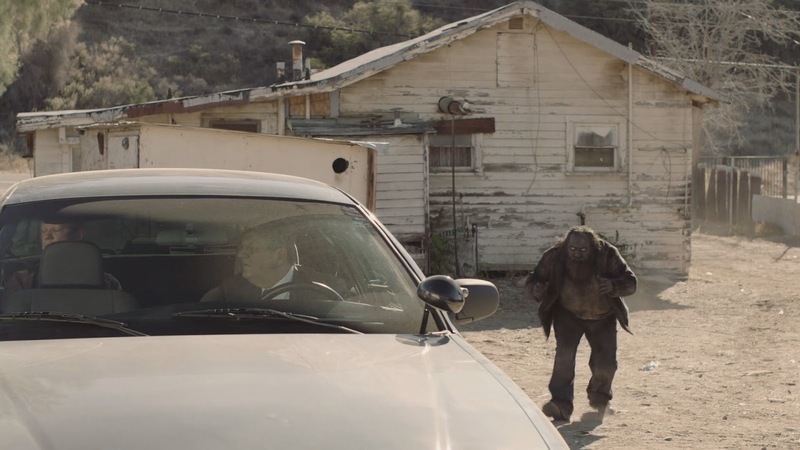 There is a strange vibe where the Charred Lumberjacks sometimes come across as mindless zombies, but in other moments appear to be cunning agents manipulating the living players in this unfolding drama. Do they have a purpose or are they driven purely by an evil sense of darkness? Can they be communicated with or reasoned with in some way? Given the fact that Ruth Davenport and Major Briggs were apparently decapitated and murdered by them at the portal's gateway is not a promising sign of their intent. 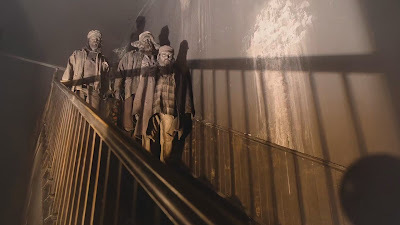 And the fact that the Charred Lumberjacks seemed to have resuscitated BOB-Coop back in Part 08 after Ray shot Mr. C down, would imply they are in league with evil BOB and Doppel-Dale. Albert photographs Ruth's naked corpse to retain a copy of the coordinates she wrote down on her arm while she was still alive. This would appear to be the set of numbers BOB-Coop has been searching for all along. 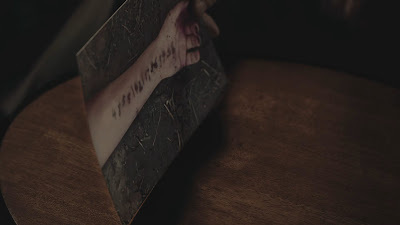 These are the numbers Ray and Darya were supposed to help BOB-Coop retrieve, but they betrayed him on behalf of Phillip Jeffries (David Bowie). 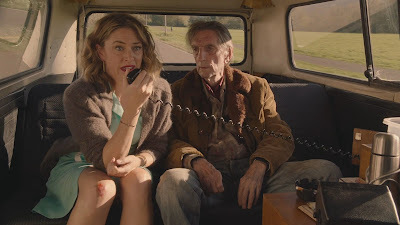 Diane's loyalties are still unclear, but we do have reason to suppose she is in secret contact with BOB-Coop, receiving and sending encoded text messages to him, and she does not give Detective Macklay a heads up when she observes one of the Charred Lumberjacks phase in and out of existence as it approaches the car holding Bill Hastings in the backseat. Diane easily could have alerted the Detective and even Cole and Rosenfield about the possible intruder, but she remained silent. To give Diane the benefit of the doubt, she might not have been sure whether this was a hallucination or not, causing her to avoid speaking in case people thought she was crazy. But whatever her reasoning, Bill Hastings is brutally killed right under Detective Macklay's nose in a brutal manner, his head split in two. Now Ruth, the Major, and Bill have all been killed within close vicinity of the portal leading to The Zone. I am concerned if we do not get a better grasp on what these Charred Lumberjacks' constraints are, then we might have an ambiguously all-powerful creature of darkness on our hands similar to the Smoke Monster on LOST (2004-10) or the Shadow Baby on Game of Thrones (2011-18). Things get a little confusing when we are not sure what the bad guys are physically capable of doing. Now we are taken to what is arguably the most Peaksy scene so far of all of Twin Peaks: The Return (2017), Bobby Briggs has a sit down with Becky and Shelly and offers some fatherly advice and help. We finally get official confirmation that Becky is the offspring of Shelly and Bobby, and a sense that Bobby and Shelly have been broken up for quite some time now. Whether the two former lovebirds were ever married is not explicitly stated, but there is a good chance they were wed and then divorced some time later. Bobby confronts Becky with some unpleasant truths about her situation, but because he is a Sheriff's Deputy he was able to arrange it so no charges would be pressed against Becky as long as she paid for the damages she inflicted on Gersten's apartment. During this interchange we get the impression Becky is a little closer to Shelly in general, and asks her mom for help far more often. Bobby offers to lend Becky the money under the proviso she pay him back. 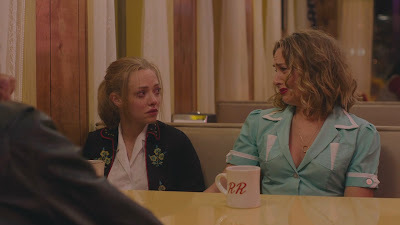 Becky does not really seem to comprehend the gravity of her situation or what she did to distress her parents quite so much until Becky looks past her crying mom Shelly and sees Norma look at her. Becky seems only to snap out of her fugue killing state fully at seeing Shelly's tears and Norma's look of concern. Although it was never made explicitly clear in the original series, we were left with the impression that Shelly's biological parents were pretty well out of the picture by the time she turned sixteen and she had dropped out of school and married Leo Johnson. Shelly had come to look at Norma as something of a friend and mother figure. And as Becky looks up at Norma, we get the impression of a granddaughter and grandmother relationship at work here. 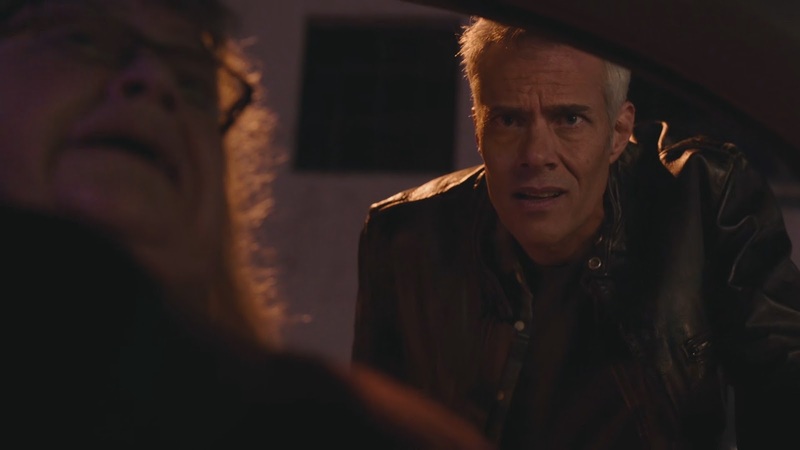 And although few moments can top Bobby's tearful reaction to seeing an old photograph of Laura Palmer for the first time in years, for my money, this is one of the most powerful scenes in Twin Peaks: The Return, as Becky returns to her full penitent self once again and expresses regret and concern for endangering her mother's life earlier that day. The melancholic catharsis here that bleeds into a glimpse of true family happiness is what makes Twin Peaks a world worth revisiting and rewatching often over the years. This moment of pure pathos, unashamed and unapologetic is what I have been longing for a return to since The Return first began. 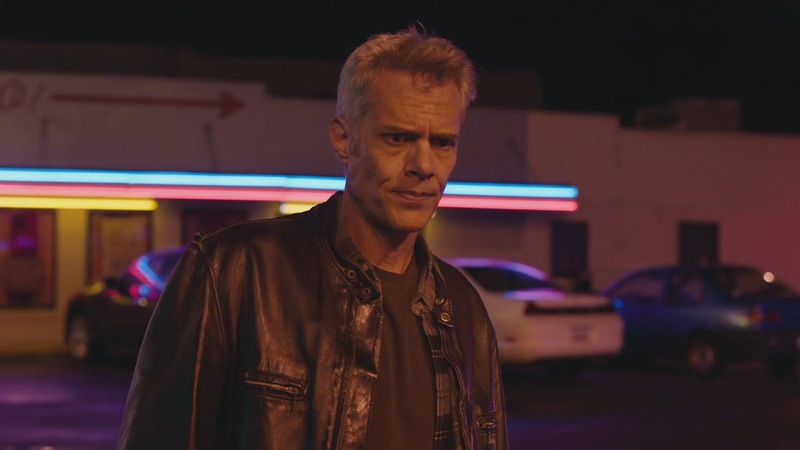 And to Dana Ashbrook and Mädchen Amick's credit, they were able to portray the unspoken twenty-five years of their off-screen relationship with just their eyes. The former madcap teen lovers who were so lost and wild at heart that they might have been the last people in the show we would have pictured growing up into adults and mature parents seem to have become just that. This kind of multi-generational storytelling saga is rarely attempted and even less often performed and executed with such precision and believability. 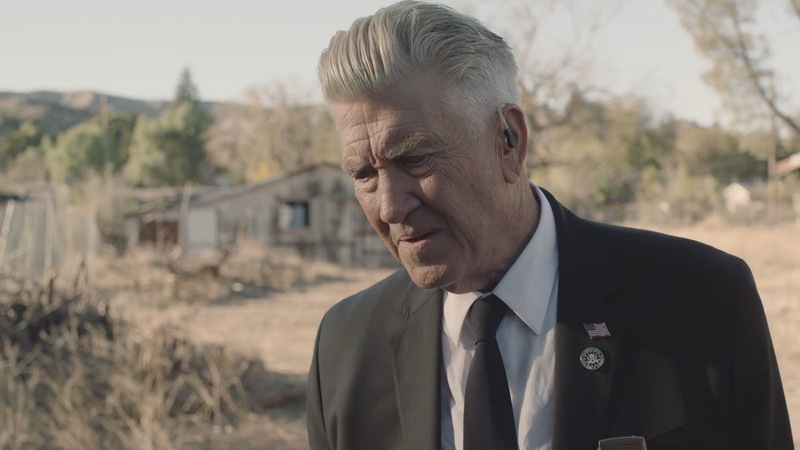 David Lynch and Mark Frost have crafted something special in this scene, which is worth noting and commending. 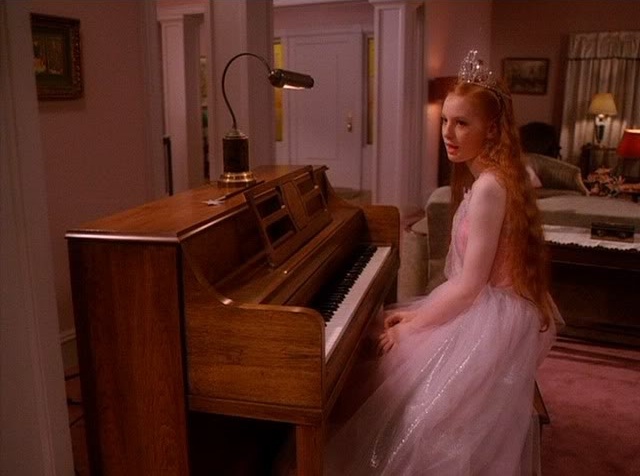 We have a 25-year-payoff in this scene that would be almost impossible to anticipate or predict and would require a cult classic be resurrected after a quarter of a century. The only other project I can think of that attempted a multi-generational saga of this nature was Ingmar Bergman's Scenes from a Marriage (1973) and its thirty-year follow-up Saraband (2003). 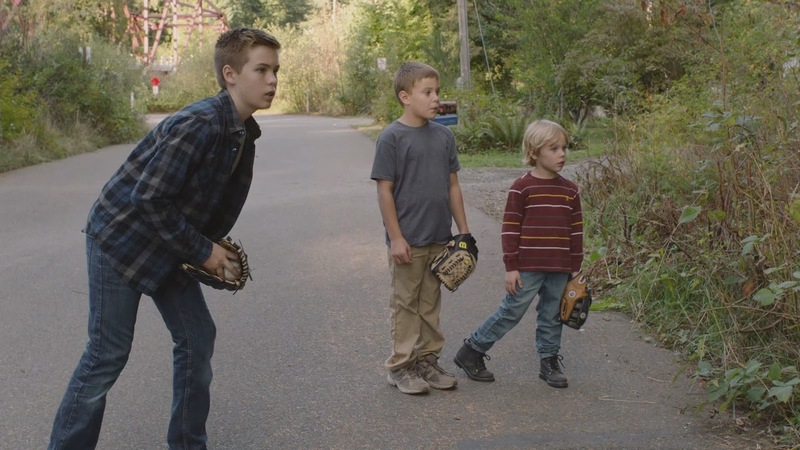 Tragically, this moment of family bliss does not last, but is interrupted by the arrival of drug-dealing Red (Balthazar Getty). Shelly is completely besotted with Red, reminiscent to her attraction to bad boys when she was a teenage girl, too. There is some implication in this that Shelly may have lost her intense attraction to Bobby when he became a more straight-laced, law abiding citizen. And just as Becky seems to have been blind to how inappropriate Steven was for her, Becky seems to realize her mom is likewise caught in a codependent loop with inappropriate bad guys, too. 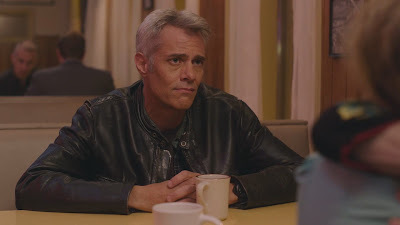 Becky's empathy for her dad is clear, and I get some sense that Becky does not like seeing her father's heartbreak over Shelly's indifference to him. Perhaps I have seen The Parent Trap (1961) once too often, but I get feeling Becky would much rather see her mom and dad happily back together, again. Shelly has no shame in acting like a giddy teenage girl again with Red. While this kind of blind devotion to the bad boy ideal is common, it is still a shame to see Shelly falling for the same old routine and not outgrowing her excitement at flirting with the wrong side of the law. For a character that has advanced in so many ways over the past quarter of a century, it is a shame that Shelly has not outgrown this fancy. The sad family council comes to a close when stray bullets make their way into the Double "RR" Diner, shattering the peaceful calm and causing people to hit the ground for cover. What follows is one of the most bizarre sequences in Twin Peaks: The Return, as Deputy Briggs attempts to restore order. Deputy Briggs snaps into action and he was showing excellent form as he approached the shooter from under cover. But in a twist worthy of a traumatic 1980's Public Service Announcement--the most frightening kind, it turns out the shooter was a small child getting a hold of his parent's handgun accidentally and firing randomly out the window of their vehicle. 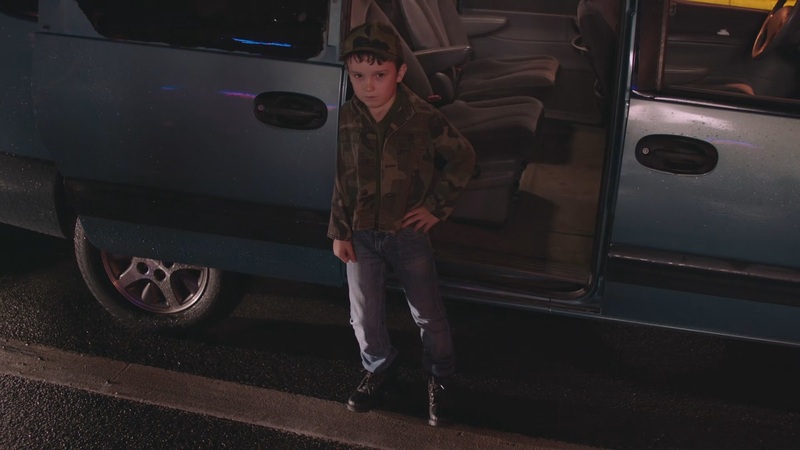 If it was just a simple accident though, then it might not haunt your nightmares as much as a potentially evil Anti-Christ child like Season 2's Little Nicky potentially shooting at Bobby earlier on purpose. Is that a stretch? Maybe. But that little boy is certainly creepy as hell. Rough night. At times like this Bobby has to question wearing the badge. 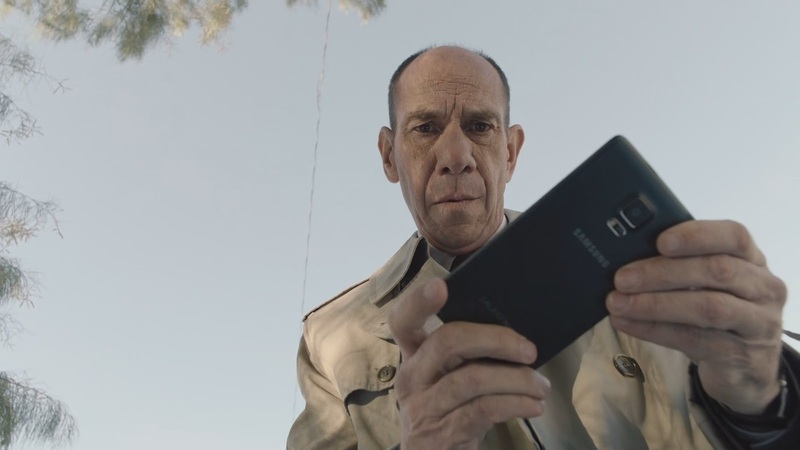 I kind of wish we got a Bobby voice over-styled COPS spinoff show just following Bobby on the creepiest misadventures of law enforcement. 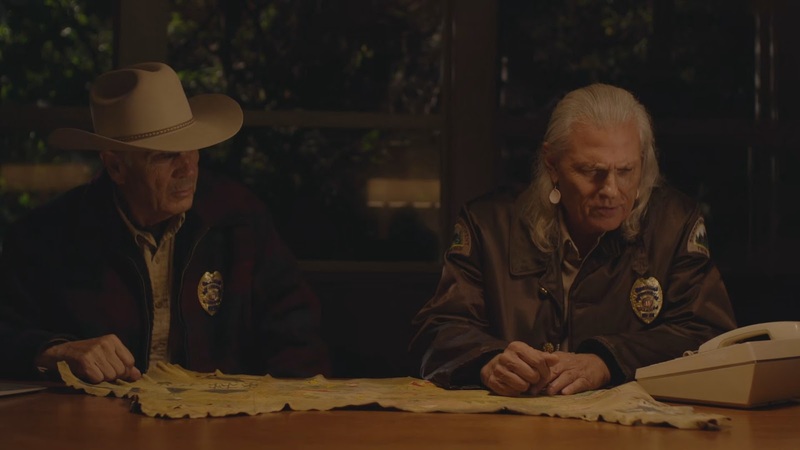 Next we stop in on Sheriff Truman (Robert Forster) and Deputy Chief Hawk (Michael Horse) as they piece together the coordinates they received from Major Briggs's message tube that Bobby opened for them previously. 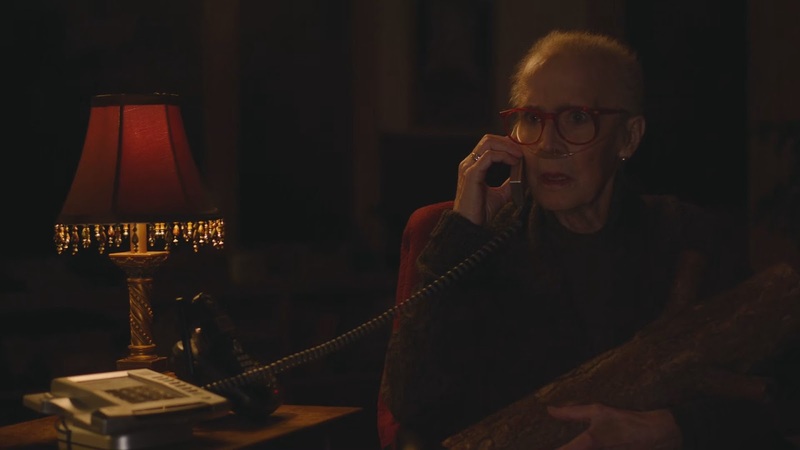 Then right on cue, the Log Lady (Catherine Coulson) calls to follow up with Hawk on the investigation. The investigation of what? Still, no one quite knows. We see some fascinating Native American symbolism and imagery adorning a special map in Deputy Chief Hawk's possession. We have never seen this particular map in the original series, so we have reason to suppose Hawk either drew it himself or it came into his custody at some point after the original Twin Peaks in the intervening 25 years. There is some interesting symbols having to do with fire and the Log Lady confirms that where they are going, there will be fire. Which in this instance, Hawk insists has more to do with electricity than with literal fire. 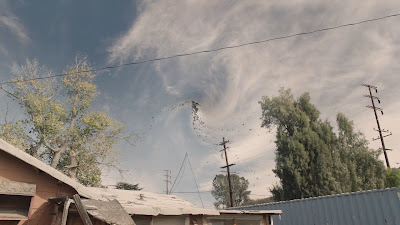 It seems that an interdimensional event of some kind is about to take place at the location where Major Briggs used to play with Bobby as a boy, Jack Rabbit Palace. 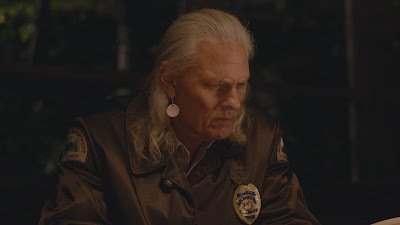 In a parallel scene in Buckhorn, the FBI Team seems to have finally caught up with the Twin Peaks Sheriff's Department. Through completely separate and disconnected psychic journeys, both teams have made their way to the same coordinates. And with any luck, the two teams will finally meet up and join forces in the next segment of the story. 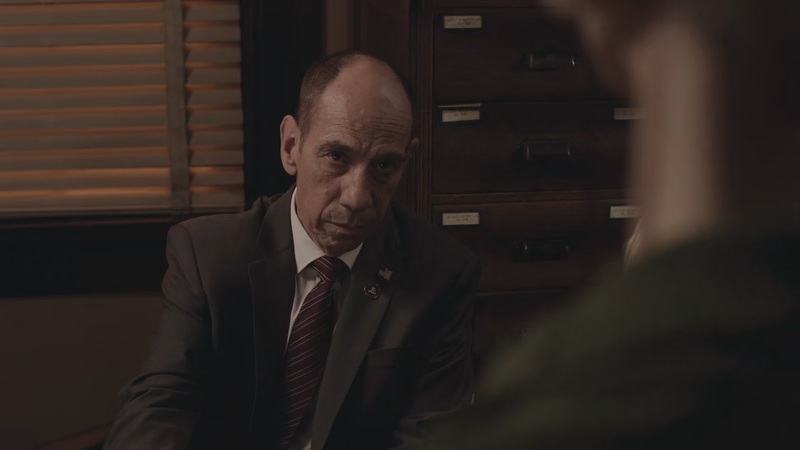 Since Albert Rosenfield photographed off of Ruth's decaying arm the coordinates that Major Briggs apparently spoke to her in The Zone, Cole and Company are likely going to head straight where the coordinates lead, likely on a trajectory to the exact same place in Twin Peaks where Sheriff Truman and Hawk are planning to hike to on their "fire map.". With suspicion on Diane being a potential agent of BOB-Coop / Mr. C / Doppel-Dale / Mullet Coop, Albert intentionally shows Gordon the coordinates so they would be visible to Diane, too. Diane suspiciously starts mouthing the numbers, as if she is trying to quickly memorize them. Albert clearly notices Diane's suspicious behavior and Diane seems to notice Albert's attention on her, too. 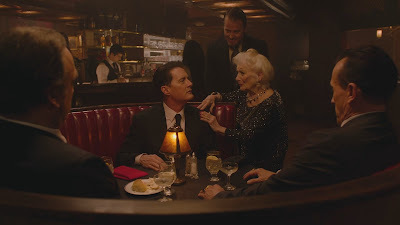 I kind of wonder what kind of history Albert and Diane might have had up until this point, but it is worth noting that Albert acts abrasive and invincible with just about everyone except at first with Diane at her favorite bar. Cole had to come to her personally to convince her to help. 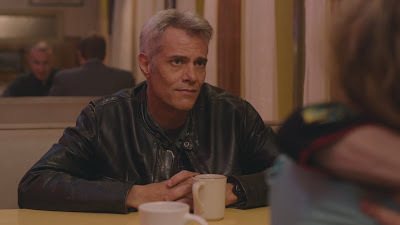 And all the while we have the seemingly innocent Tammy Preston (Chrysta Bell) bringing coffee and donuts along with the help of Detective Macklay (Brent Briscoe). 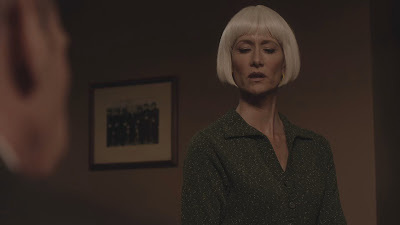 At the beginning of The Return, Denise Bryson (David Duchovny) seemed to express some suspicion about Special Agent Preston, which Gordon Cole (David Lynch) seemingly ignored. Is Tammy seducing her way into Cole's confidence and is she the real agent of BOB-Coop's and somehow Diane is being set up as a red herring? We will just have to wait and see. 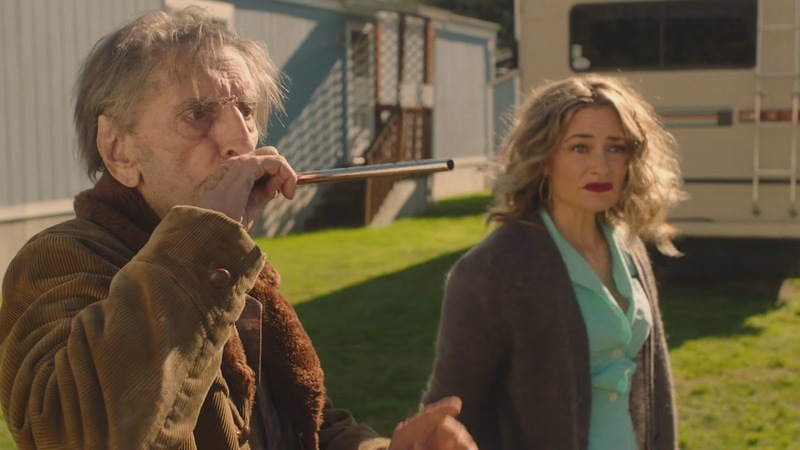 Now we come to one of the most tense, yet simultaneously light-hearted moments from all of Twin Peaks: The Return to date. 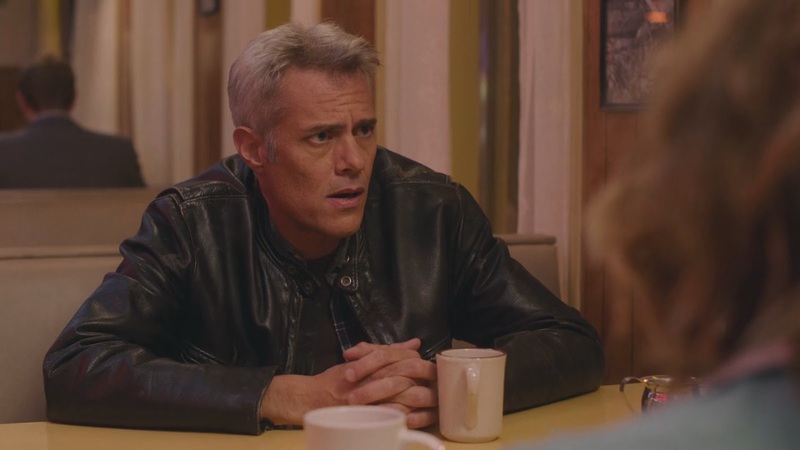 So much so that one reviewer wrote, "So Twin Peaks is a comedy now, right?" I responded that it sure took TV critics a while to realize Twin Peaks has always been a Dark Comedy, Mystery, Police Procedural, Supernatural, Horror, Melodrama. And its quirky sense of humor has been one of its most endearing traits to viewers over the decades. 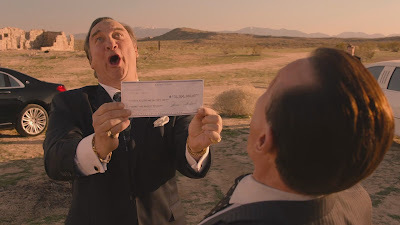 For those among us who have struggled to accept the Dougie Jones (Kyle MacLachlan) story line so far, I suspect even most of them were pretty amused at how it is playing out now. And the fact that a dream about Cherry Pie saved Dougie-Golem-Dale's life has to put a smile on at least a few of their faces, too. Although an apparent detour from the typical story and characters Twin Peaks follows, I feel like David Lynch and Mark Frost earned the inclusions of this story thread this week and the laughs here are genuine. I admit, although I had faith in the big Lynch / Frost cast list they released last year, I remember feeling a little skeptical about whether or not James Belushi would fit in Twin Peaks. 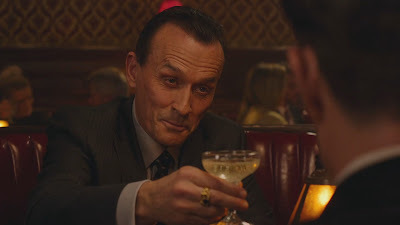 With Part 11, all those doubts have been erased forever and he and Robert Knepper's fraternal duo as the Mitchum Brothers earned their way into my heart forever on Twin Peaks. Welcome to the family, you two! 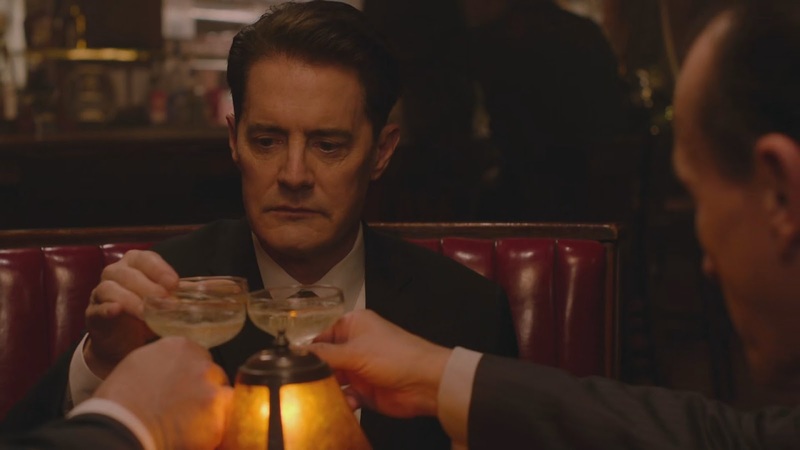 I almost get the impression that this celebratory toast is the equivalent of David Lynch and Mark Frost cheering the success of this bizarre subplot that totally paid off in the end. This scene has the feel of an intense subplot that has wrapped up nicely. And now anything can happen! 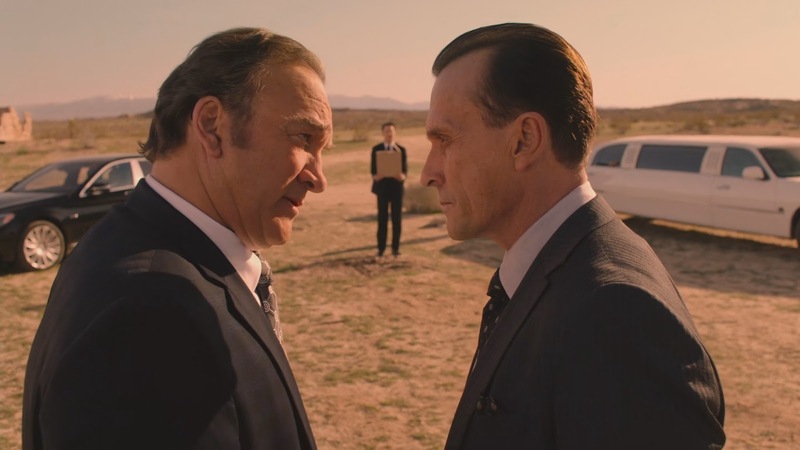 Perhaps Dougie-Dale will reclaim his rightful place over BOB-Coop next episode? Maybe that will take another six episodes? Maybe it will not happen at all? Whatever the case, it feels like Cooper's wandering Dream Soul has experienced all it needed to experience in this Dougie iteration and it is time for a new chapter to begin. 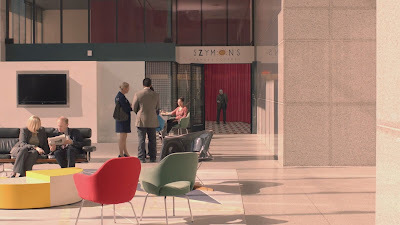 We even get a reprise of the empty shell of a person wandering the slot machines looking for her lucky break. The woman Dougie pointed to a winning machine. The woman who affectionately nicknamed Dougie "Mr. Jackpots!" Since winning the money, she has put her life back together again and is reunited with her son. Candie explained how she glot slowed down and why she was missing earlier that day, and it sounds like she became overwhelmed by the sheer number of people and cars on the roads that day and she temporarily was lost in the sea of surfeiting confusion. And in this respect, Candie and Dougie seem like similar wandering Dream Souls. So it is fitting that Candie be the one to serve up some hot slices of Cherry Pie for Dougie-Dale, the first time he has eaten the magical pastry in over twenty-five years. Candie's beautiful, blonde hair and warm friendly smile perhaps reminding him of Norma and the Double "RR" Diner, who used to serve him a Cherry Pie that was to die for. 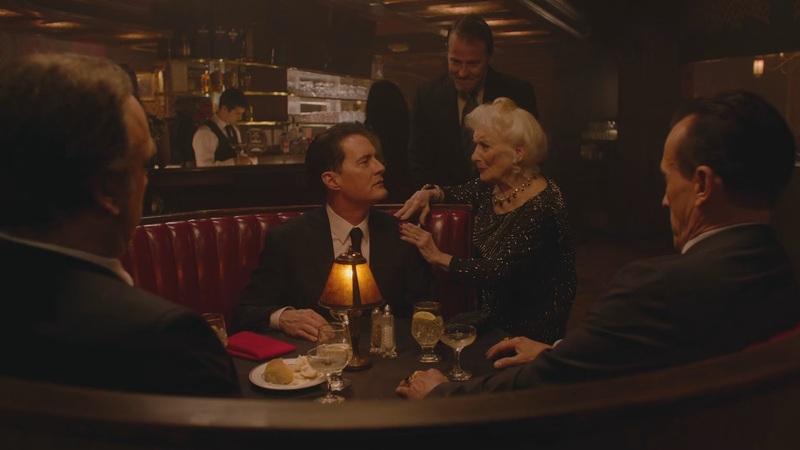 If this does not help Dale Cooper return to his senses, then what will? And we end this segment of Twin Peaks on a bittersweet epilogue of a lone restaurant piano player cycling through music that is joyful and melancholic, hopefully signifying Dale Cooper is finally ready to return home.